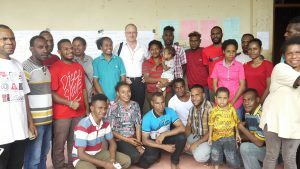 WelCom September 2017: On a pastoral visit to Indonesia’s Papua region in July, Bishop Charles Drennan together with Cathy Bi-Riley and Taneora Ryall from Caritas Aotearoa New Zealand learned first-hand about social, political and environmental issues affecting local and indigenous peoples. 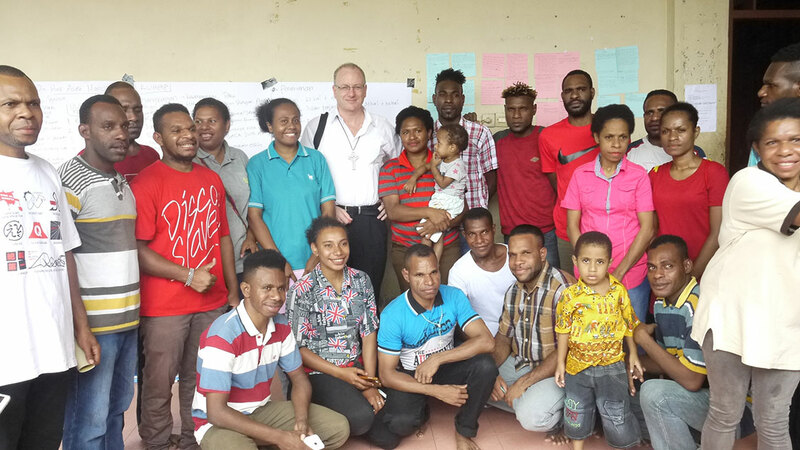 They met with a range of representatives from the Catholic and ecumenical community including Jayapura Bishop Leo Laba Ladjar ofm, Catholic human-rights defenders, non-government-organisations (NGOs), and indigenous students and groups. Bishop Leo shared his concerns about poor health and educational outcomes for indigenous people in rural areas. According to Indonesian Bureau of Statistics in 2016 the adult illiteracy rate in Papua was 28 per cent compared with only one per cent for Indonesia overall. Bishop Leo said, ‘in remote areas, the lack of teachers and medicine is a significant challenge’. In the Merauke Archdiocese, NGOs and Catholic groups spoke about the environmental impact of palm-oil plantations, a government programme called Merauke Integrated Food and Energy Estate (MIFEE) and coastal erosion. These issues are closely connected with concerns for the wellbeing of indigenous communities who have lost parts of the lands they have traditionally lived on but now no longer have access to traditional food sources.